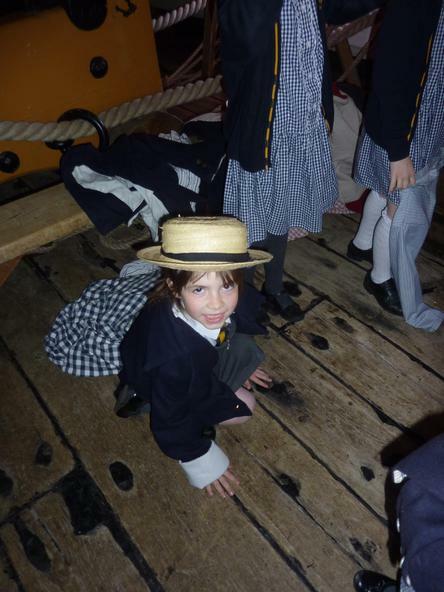 Well, what a fantastic day had by all! 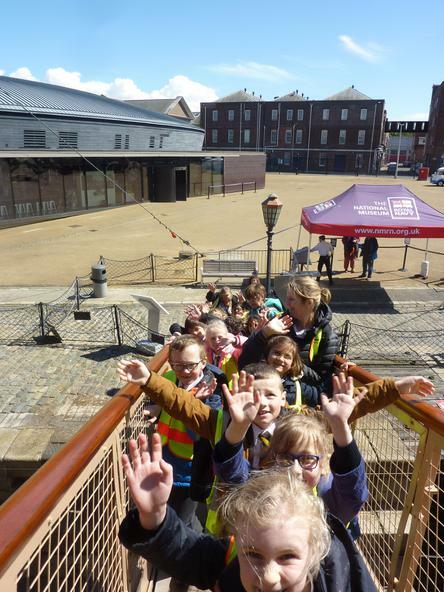 The sun was shining on us as we arrived at the Portsmouth Historic Dockyard and continued to do so for the rest of the day. 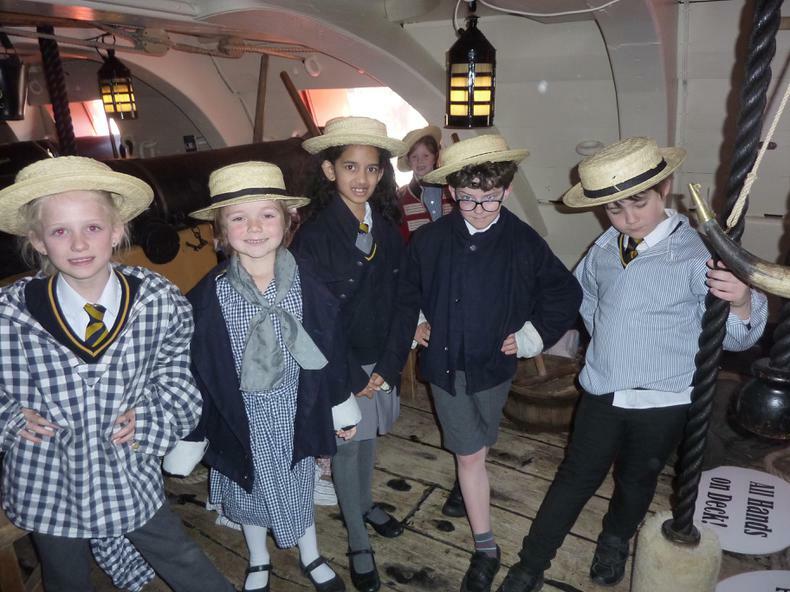 All of the children behaved fantastically and showed all of the visitors to the Dockyard how well behaved children from St Jude's School are. 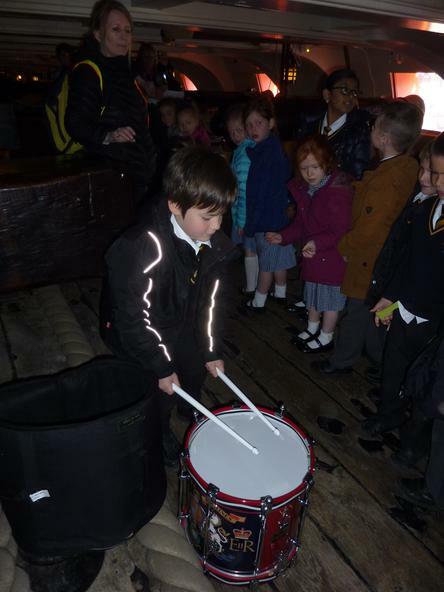 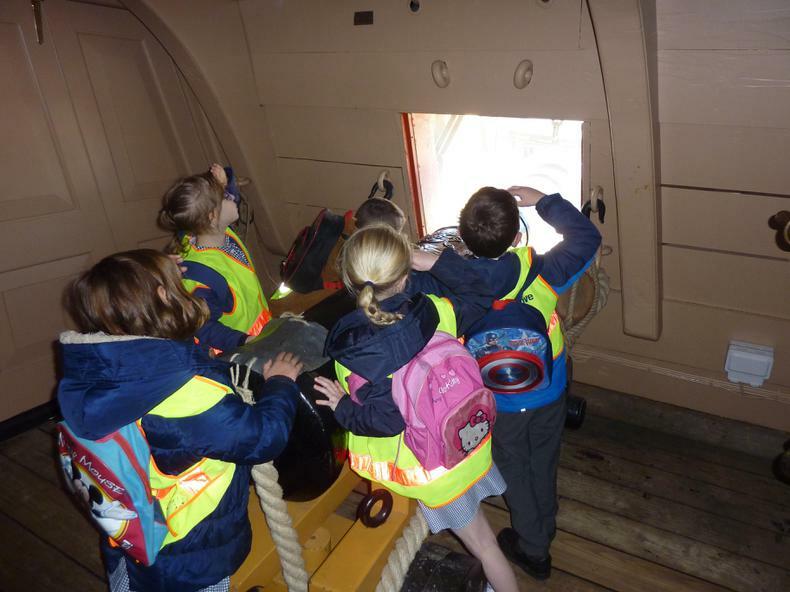 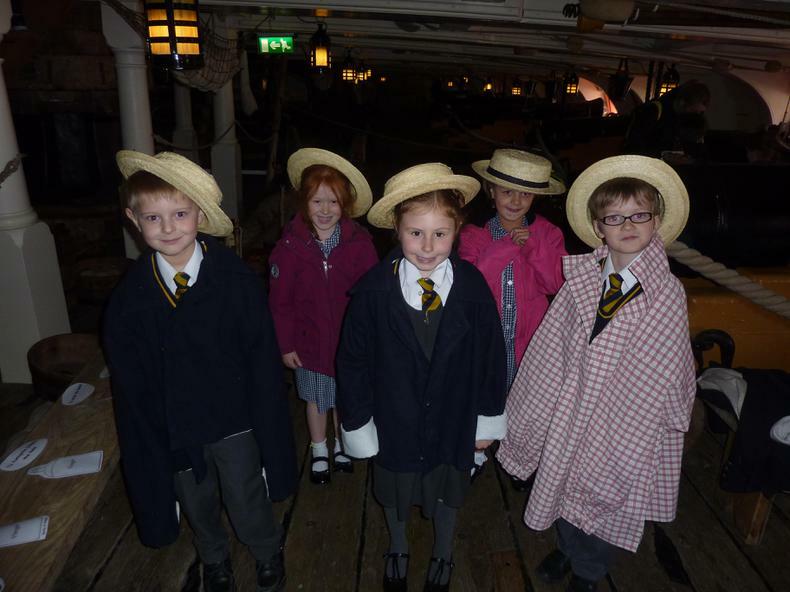 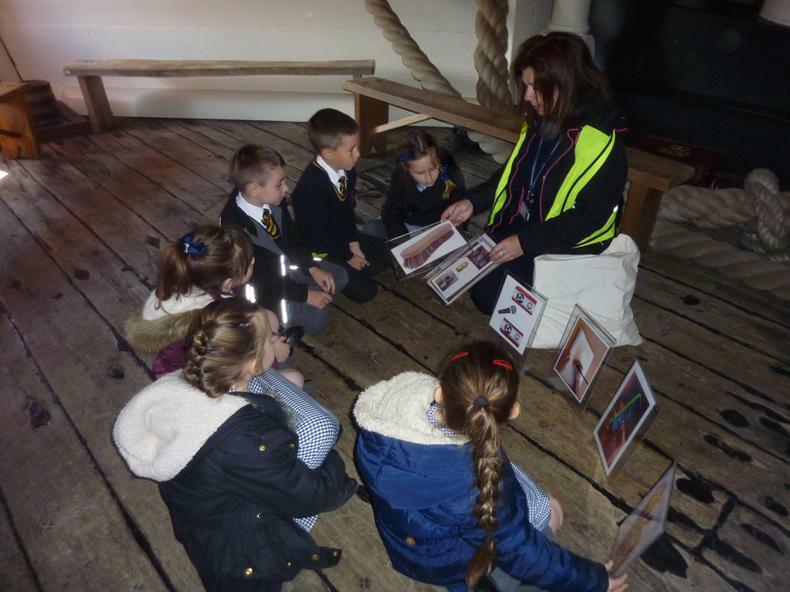 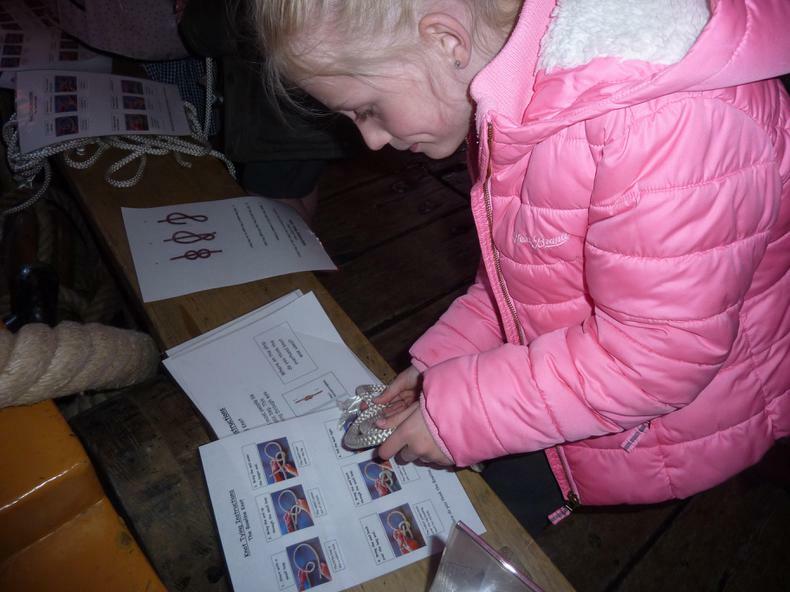 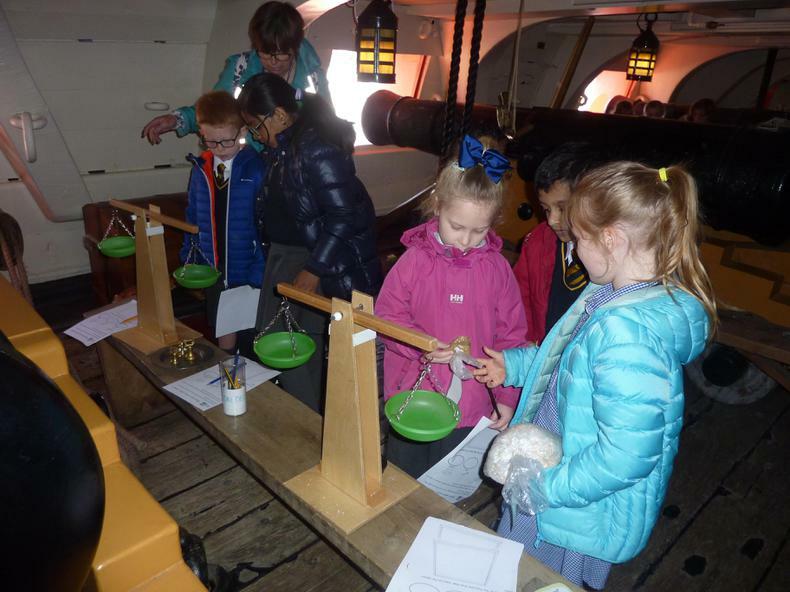 Over the course of the day, the children took part in 5 different activities which immersed them in the lives of the sailors aboard Admiral Lord Nelson's ship. 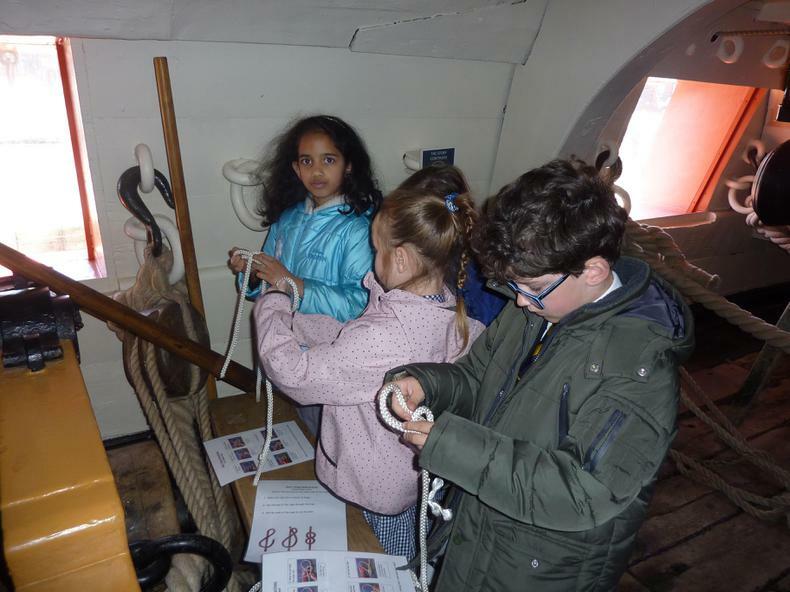 They learnt how to tie three different types of knots, what food their ate and how much of each ingredient was needed and what key pieces of equipment were and how they were used. 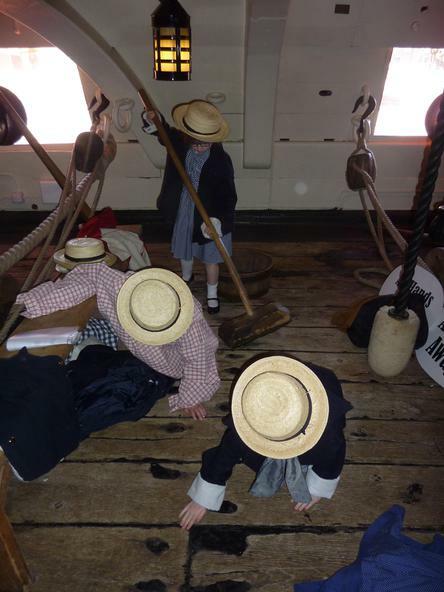 For example, did yu know that they used flags to communicate with other ships? 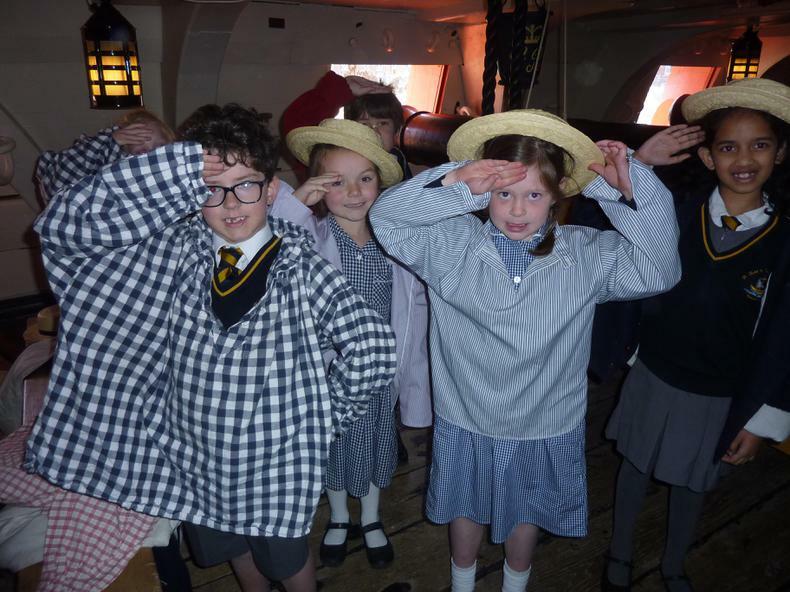 The trip couldn't be complete without a little role play using costumes from the time period and learning how to fire a cannon! 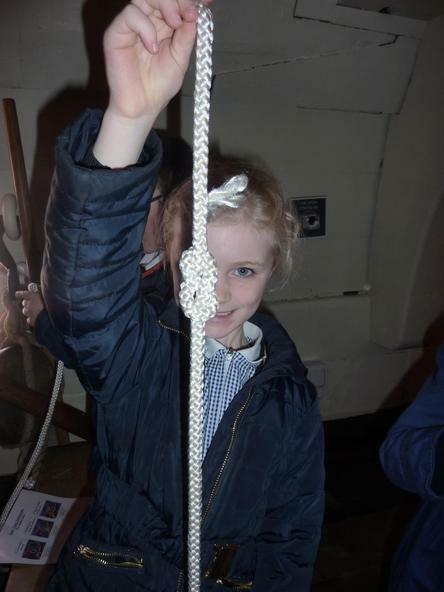 We then went off in our groups to explore the Victory further and did very well to navigate all those tricky staircases! 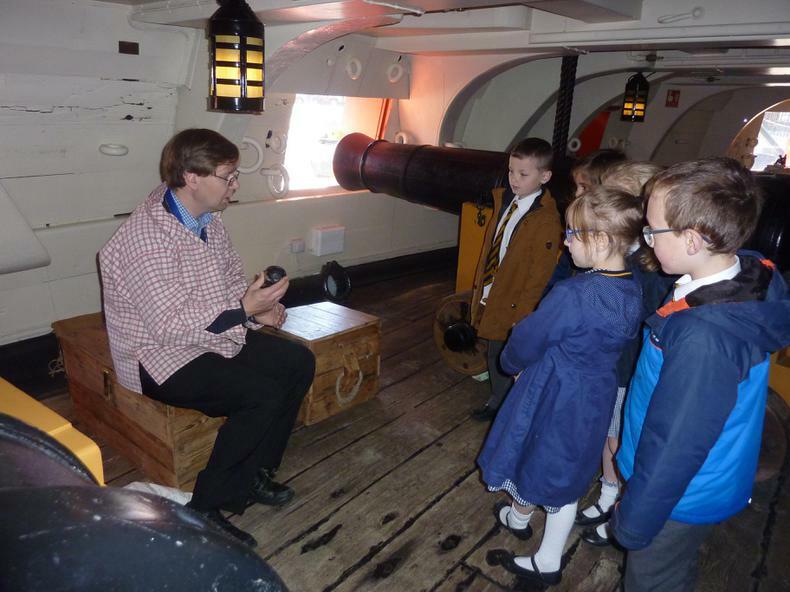 We located the different sleeping areas, where the sailors ate and found some examples of weapons the sailors used. 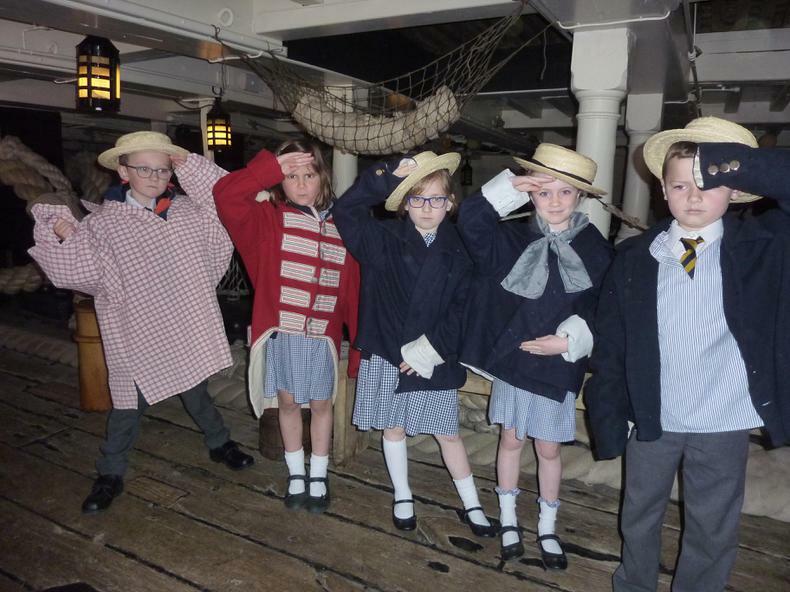 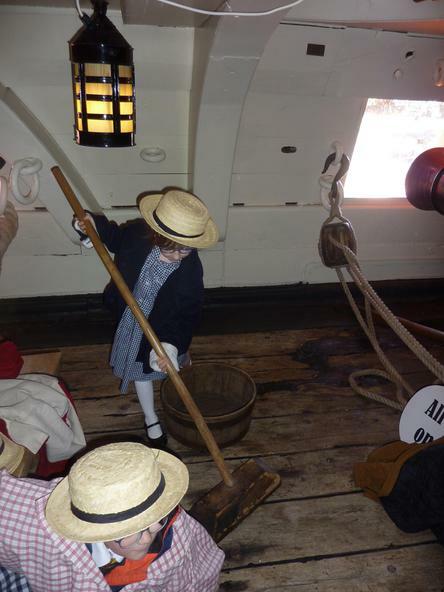 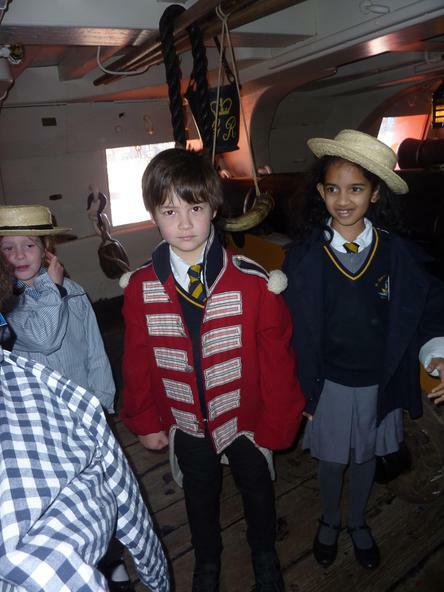 Admiral Lord Nelson's quarters were so different from the other areas of the ship, the children all agreed that they wanted to be the Admiral!